BEFORE booking your space for Brazzeltag 2019 via our shop system, we ask that you carefully read through and accept the following terms and conditions. Vehicles including automobiles, motorcycles, tractors, lorries, motor coaches, and buses built in 1979 or earlier are eligible to participate. Vehicles with exceptional special conversions may also be approved, but aluminium rims, spoilers, airbrushing, or simply being a low-rider is NOT sufficient to meet this qualification. If your vehicle does not fit into one of the classes described, but you still believe it ought to be shown, you may request an exception in advance without any obligation by sending an email describing your vehicle as best as possible to info[at]brazzeltag.de. We will then let you know if you could register your vehicle. Spaces for vehicles may only be reserved via the electronic registration form (link below) and are only binding if been confirmed by us in writing (within five working days). There is a limited number of spaces and no further registrations will be accepted after Sunday, 14 April 2019. The participation fee can be paid directly when reserving your space with credit card, Sofortüberweisung, or direct debit. If you select "advance payment" as an option, you should arrange the bank transfer immediately upon receiving confirmation of your registration, but no later than Sunday, 14 April 2019. Cancellations must be received no later than Sunday, 15 April 2018; otherwise, no amounts already paid will be refunded. The participation documents will be sent to the participant by post about three weeks before the start of the event. Please make sure you have given us your correct postal address! The spaces are only reserved for arrivals between 9 am and 12 noon! After 12 noon, they may be given to latecomers without prior notice. IMPORTANT: Participants who arrive late and are not allowed to park in their reserved spot are not guaranteed another spot and are not entitled to a refund of their registration fee. We will reserve a certain number of spots, but we do not book specific ones in advance. The spots are filled in the order in which participants arrive. Participants who wish to park adjacent to one another must arrive on site at the same time. We basically assume or strongly recommend that you drive your vehicle onto the site. 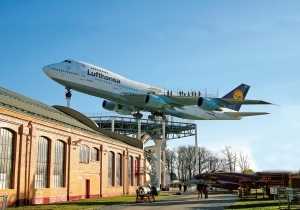 Transporters and trailers will only be allowed on the site of Technik Museum Speyer to load and unload the registered vehicles and only at certain times to be announced in advance. After unloading the vehicle, the transporter must be immediately parked in the trailer parking lot. Museum staff instructions must be followed. The basic prerequisite for participation in Brazzeltag is a waiver if liability properly filled out and signed in your hand, delivered to us at the latest upon arrival. You can download this form HERE and either send it to us in advance or bring it with you to Brazzeltag. When registering, we ask for a valid email address, which we will not disclose to third parties. Participants will be regularly informed about next steps and any changes. In addition, we recommend all participants inform themselves here shortly before the start of the event about any changes to details or specifics.